Dr Nishat Shaikh, M.D. (Hom. ), Jaysingpur, Kolhapur. Abstract: “Organon of Medicine” is a scientific treatise and not a gospel. It should be approached not with the feeling of reverence but with the spirit of enquiry that characterizes scientific attitude. A more closely reasoned book is the most difficult to find. Keywords: Organon, disease, miasm, drug, investigation, proving, etc. The Organon is not by any means light reading; and though the style of the author is extremely lucid, and though the English Translator has done his part to perfection, still the subject matter is of such a nature that pretty close thought and steady application of the mind are required in order to fully apprehend the meaning and to keep up with the argument. Many homoeopaths tried to read it but only few had the requisite perseverance to persist in its study. It is a tragedy that it has become a book which all homoeopathic physicians honour but few have benefitted to the full from its study. In other words, it has truly become a hard nut to crack. In this article I have tried to give a brief view of the contents of the organon. My hope is that it may serve as a sort of introduction to the Organon, inciting readers to a detailed study of the organon itself and making its study a somewhat easier task. We shall be considering the 6th edition of Organon of Medicine translated by Dr. William Boericke. The physician’s highest and only calling is to restore health to the sick, which is called healing or CURE. Healing must be accomplished in the most speedy, most gentle and most reliable manner. To do this, he must know the ailment of the patient, select the appropriate remedy, the dose and its repetition according to each individual case. Sanitation and hygiene are the studies in which every physician must be well versed. Constitution of the patient, his mind and temperament, occupation, mode of living and habits, social and domestic relations, age and sexual functions, etc. give us the individuality of the patient. Deviations from the normal state show themselves by morbid signs and symptoms. The totality of these symptoms, this outwardly reflected image of the inner nature of the diseased state, i.e., of the suffering dynamic or living force, is the principal and only condition to be recognized in order that they may be removed and health restored. Life, a dynamic principle, animates the material body and this material body passes away as soon as it is deprived of this life-force. In health, harmonious vital processes go on in our mind and body. In sickness, this life-force becomes deranged by the dynamic influence of some morbific agency inimical to life, hence abnormal functional activity manifesting itself by morbid sensations and functions, by morbid symptoms arises. This morbidly changed life-force can only be restored to its normal state by a similarly acting dynamical power of the appropriate remedy, acting upon the universal susceptibility of the nerves of the organism. The total removal of the symptoms is restoration of the health and therefore, the totality of symptoms observed in each individual case can be the only indication to guide us in the selection of a remedy. These deviations from the state of health can only be removed by the curative power inherent in medicine to turn the sensorial condition of the body again into its normal state. Experiments on animals, vivisection and autopsy can never reveal inherent power of medicine. The healthy human body alone is the fit subject for such experiments, where they excite numerous definite morbid symptoms. It follows that, if drugs act as curative remedies, they exercise this curative power only by virtue of altering bodily failings through the production of peculiar symptoms, which then they are able to remove from the sick. In other words, the remedy must be able produce an artificial morbid condition similar to that of the natural disease. Experience teaches that all drugs will unexceptionally cure diseases, the symptoms of which are as similar as possible of the drugs and leave none uncured. Natural diseases are removed by proper medicines because the normal state is more readily affected by the right dose of a drug than by natural morbific agencies. Psychical and partly physical diseases show their greatest power where this life-force is below par, hence they do not affect everybody nor do they do so at all times. We may, therefore, assert that extraneous noxious agencies possess only a subordinate and conditional power, while drug-potencies possess an absolute, unconditional power. Drug-disease is substituted for the natural disease, when the drug causes symptoms most similar to that which is to be cured and it is hardly possible to perform a cure by means of drugs incapable of producing in the organism a diseased condition similar to that which is to be cured. Palliation of prominent symptoms must be discarded, for it provides only in part for a single symptom; it may bring partial relief but it may soon followed by a perceptible aggravation of the entire disease. Primary and after or counter effect of drugs: during the primary effect of a drug, the vital force receives the impression made upon it by the drug and allows the state of health to be altered by it. The vital force then rallies and either calls forth the exact opposite state of feeling or it neutralizes the impression made upon it by the drug, thereby establishing the normal state of health. The former a counter effect, the latter a curative effect. Diseases peculiar to mankind are of two classes: (a) Acute diseases – rapid, morbid processes caused by abnormal states and derangement of the life-force. Acute diseases may be sporadic, endemic or epidemic. (b) Chronic diseases – originating with a chronic miasm, acting deleteriously upon the living organism and undermining health to such a degree that the vital force can only make imperfect and ineffectual resistance, which may result in the final destruction of the organism. True chronic diseases arise mostly from Syphilis, Sycosis and Psora. The latter is often the fundamental cause and source of countless forms of diseases, figuring as peculiar and definite diseases in our textbooks on pathology. Individualization in the investigation of a case of a disease demands unbiased judgment, sound senses, attentive observation and fidelity in noting down the image of the disease. The patient tells the history of his complaints, the attendants fill out the gap, narrating everything which he might have forgotten. The physician observes by means of sight, hearing and touch what is changed and abnormal about the patient, and writes down everything in precisely the same expressions used by the patient and his attendants. Symptoms must be noted separately, one beneath the other, so that additions could be inserted. Careful inquiry by the physician will bring out particular points, the modalities of each symptom. 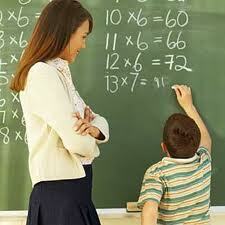 No leading questions are to be made, so that the patient may give unbiased his own sensations. Memoranda are then to be added of what he himself observed on the patient and anamnesis fully noted down. The previous use of drugs may tarnish the picture of the disease and it may be advisable to give a placebo for a day or two, so that afterwards a true picture may be attained. This holds specially good in chronic affections. In acute cases which brood no delay, the physician may be obliged to accept the morbid state as modified by drugs and embrace it in one record. In chronic cases all the circumstances of the patient must be investigated: occupation, habits of living, diet, domestic relations etc. so that appropriate means be taken for their removal. All this takes time and patience, as many chronic patients consider many a symptom as a part of their unavoidable condition and forget to mention it considering such of no value. In the exploration of the totality of symptoms of epidemic or sporadic diseases, the physician should pre-suppose the true image of any prevalent disease to be new and unknown; and give it a new and thorough investigation. Nothing must be taken for granted. In all epidemics the physician may only be able to collect the full picture of the disease after the investigation of several cases. Only thus he arrives at the characteristic peculiarities of the epidemic, which affects the all patients alike, because each case arises from the same source and then we are able to discover the appropriate homoeopathic remedy for that prevailing epidemic. When all the prominent and characteristic symptoms of the case have been committed to writing, the most difficult part has been accomplished and we must now seek out the corresponding drug which in its effects on healthy persons produces symptoms strikingly similar to those of the disease. Upon subsequent inquiry concerning the effects of the remedy and the changes of feelings it has produced in the patient; and after having made a new record of the case, the physician only omits from his diary the symptoms which were improved and notes down what remains or what has subsequently appeared in the form of new symptoms. The entire range of disease producing power of each drug must be known, i.e., all morbid symptoms and changes of the state of health which each drug is capable of producing by itself in healthy persons, in order to discover what elements of disease each is able to produce and inclined to excite by itself in the condition of mind and body. 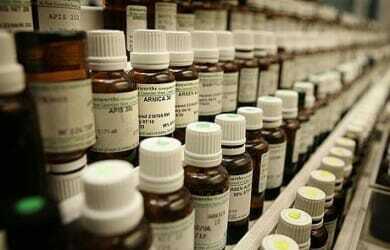 Thus the disease producing power of drugs can be made available homoeopathically in the case of all diseases. Experiments made with moderate doses of drugs (except narcotics, which destroy sensibility and sensation) upon healthy persons, exhibit only primary effects i.e. those symptoms by means of which a drug affects or deranges the healthy state and produces in the organism a morbid condition of variable duration. Some symptoms are produced by drugs in many healthy persons who try them, others are produced in only a few, others again are extremely rare showing themselves only in peculiar constitutions which though otherwise healthy are inclined to be more or less morbidly affected by certain things which appear to make no impression and to produce no change in many other persons. Each drug manifests particular effects in the human body and no other drug will produce effects of exactly the same kind. Medicines must ,therefore, be differentiated with each other with scrupulous accuracy; and proved with pure and careful experiments with regard to their power and true effects upon the healthy body. In proving drugs, it should be remembered that strong, so called heroic substances, even in small doses, have property of affecting changes in the health, even of robust persons. Those of milder power should be given in considerable doses in these experiments and those of least activity, in order to cause their effect to become perceptible, should be tried only upon healthy but sensitive and susceptible persons. Let us be very careful in regard to the reliability of the drugs used in the provings; they must be pure, genuine and of full strength. Every medicinal substance should be employed entirely alone, in a perfectly pure state, without the admixture of any other substance and the prover should not take any other medicinal substance on the same day, or for so many days as the observation of the effects of the drug requires. During the proving, the diet should be moderate but nutritious; avoid all green vegetables, roots, all kinds of salads and pot-herbs, as they retain medicinal properties, even if most carefully prepared. Avoid mental and bodily exertions, particularly disturbances resulting from the excitement of the sexual excesses. Prover ought to possess the requisite degree of intelligence to enable them to define or to prescribe their sensations in distinct expressions. Crude medicinal substances, if taken by the prover for purpose of ascertaining their peculiar effects, will not disclose the same wealth of latent powers as when they are taken in a highly attenuated state, potentiated by means of trituration and succussion. Thus the medicinal powers, even of substances hitherto considered as inert, are most effectually developed by administering to the prover daily from four to six finest pellets of the thirtieth potency, the pellets having been previously moistened with a little water, should be taken on an empty stomach for several days. Drugs must be proved by both sexes, in order to get their full effects. All persons differ in their susceptibility to drug influence. Each prover should begin with a small dose of medicine, gradually to be increased day by day where such a course appears proper and desirable. By giving a sufficiently strong dose in the beginning of a proving, we get the exact consecutive order in which the symptoms appear and the prover can note the time at which one appeared. Thus, we find out the genius of the drug. A moderate dose frequently suffices, when the prover is sensitive and pays proper attention to the state of his feelings. The duration of the effect of a drug is determined only after comparison of a number of provings. When increased doses are taken several days in succession, we discover the various morbid conditions which this drug produces in general, but we will not learn the consecutive order of their appearance and besides, a second dose, by its curative effects, will often remove some of the symptoms resulting from the previous dose; or a second dose may produce the opposite condition from that of the first, an alternating effects of the drug. An increased dose for several successive days shows the symptoms better, but not the consecutive order, nor the duration of the drug effect. During the proving the prover should study out whether any symptom is changed by taking different position, when ameliorated or aggravated, and at what time of day or night each symptom usually appears. Several provings are necessary by the same prover to get from him as many symptoms as possible, but to get at the totality of the symptoms which a drug is liable to produce, the provings of many persons are necessary; the smaller the dose of the drug, the more distinctly the primary effects will appear, while excessive doses cause the result to be disturbed by the appearance of various after-effects, because the primary effects become confused by the violence and haste of the action of the dose. Symptoms similar to the drug the prover has sometimes felt before the provings was commenced, but when they appear again during the proving, it shows that he is susceptible to the action of the drug. Every prover must be directed to distinctly write down every sensation and change of feeling, the time of its appearance, its duration and then the director of the proving compares the different manuscripts of records. Thus, we accumulate the collection of genuine, pure and undeceptive effects of simple drugs. Such records contain and represent in similitude the elements of numerous natural diseases hereafter to be cured by these means. A materia medica of that kind should exclude every supposition, every mere assertion or fiction. A drug fully tested with regards to its power of altering human health and whose symptoms present the greatest degree of similitude with the totality of the symptoms of a given natural disease, will be the most suitable and reliable homoeopathic remedy for that disease, its specific curative agent. A medicine possessing the power to produce an artificial disease most similar to the natural disease to be cured, exerts its dynamic influence upon the morbidly disturbed vital force and in the right dose will affect those parts of the organism where the natural disease is located and will excite in them an artificial disease. A well selected homoeopathic drug will remove a natural acute disease of recent origin, even if severe and painful, an older affection will disappear in a few days and recovery press to full restoration of health. Old, complicated diseases demand longer time for their removal. Chronic drug diseases, complicating an uncured natural disease, yield only after a great length of time, if they have not become quite incurable. For a few insignificant symptoms of recent origin, no medicinal treatment is needed, a slight change of diet and habits of living suffices for their removal. In searching for the homoeopathic specific remedy, the more prominent, uncommon and peculiar ( characteristic) symptoms of the should bear the closest similitude to the symptoms of the drug. The more general symptoms deserves less notice, as generalities are common to every disease and almost to every drug. Although a well selected remedy quietly extinguishes an analogous disease without exciting additional sensations, it may produce a slight aggravation resembling the original disease so closely that the patient considers it as such. Aggravations caused by larger doses may last for several hours, but in reality these are only drug effects somewhat superior in intensity and very similar to the original disease. The smaller the dose of the drug, so much smaller and shorter is the apparent aggravation of the disease during the first hours. Even in chronic cases, after the days of aggravation have passed, the convalescence will progress almost uninterruptedly for days. If in acute cases the remedy was poorly selected we must examine the case more thoroughly for the purpose of construing a new picture of the disease. Cases may occur where the first examination of the disease and the first selection of the remedy prove that totality of symptoms of the disease is not sufficiently covered by the morbific elements (symptoms) of a single remedy; and we are obliged to choose between two medicines which seem to be equally well suited to the case, we must prescribe one of these medicines, and it is not advisable to administer the remedy of our second choice without a renewed examination of patient, because it may no longer correspond to the symptoms which remain after the case has undergone a change and often a different remedy will be indicated. If the medicine of our second choice is still suited to the remnant of the morbid condition, it would now deserve much more confidence and should be employed in preference to others. Disease presenting only a few symptoms may be called partial ( one-sided ) diseases; their chief symptoms indicating either an internal affection, headache or diarrhoea or only a local one. A mere careful examination often reveals more occult symptoms and if this fails, we must make the best use of these few prominent symptoms as guided in the selection of the medicine. As for such a partial disease, the selected remedy may also be only partially adapted, it may excite accessory symptoms and symptoms of the disease will be developed which the patient had not previously perceived at all or only imperfectly, thus facilitating the task of selecting a more accurate homoeopathic remedy. After the completion of the effect of each dose of medicine, the case should be re-examined, in order to ascertain what symptoms remain and the corresponding remedy selected, and so on till health is restored. Local disease are those affections which are of recent origin and caused by external injury. Affections of external parts, requiring mechanical skill, belong to surgery alone, but often the entire organism is affected to such an extent by injuries, as to require dynamic treatment in order that it may be placed in the proper condition for the performance of the curative operation. Affections of external parts, not caused by external injuries, proceed from an internal morbid state and all curative measures must be taken with reference to the state of whole system, in order to effect the obliteration and cure of the general disease by internal remedies. In examining such a case, the record of the exact state of the local disease is added to the summary of all symptoms, and other peculiarities to be observed in the general condition of the patient, in order to get at the totality of symptoms and to select the corresponding remedy which removes the local as well as general symptoms. Notwithstanding the well regulated habits of the patient, a remnant of the disease may still be left in the affected part, or in the system at large, which the vital force is unable to restore to its normal state; in that case the acute local disease frequently proves to be the product of psora, which has lain dormant in the system where it is now about to become developed into an actual chronic disease. Antipsoric treatment will be necessary to remove this remainder and to relieve the habitual symptoms peculiar to the patient previous to the acute attack. It is not advisable to combine the local application of a medicine simultaneously with its internal use, for the disappearance of the local symptoms renders it nearly impossible to determine whether the total disease has also been exterminated by the internal remedy. Relying on the internal remedy alone, the removal of the local disease proves the achievement of a radical cure, and of complete recovery from the general disease. When the system is affected with some chronic disease which threatens to destroy vital organs or life itself and which doesnot yield to the spontaneous efforts of the vital force, the latter endeavors to substitute a local disease on some external part of the body, whither the internal disease is transferred by derivation, in order to lessen the internal morbid process. But still the internal disease may increase constantly and their nature will be compelled to enlarge and aggravate the local symptoms in order to make it a sufficient substitute for, and to subdue the internal disease. Most chronic diseases originate from three chronic miasms: syphilis, sycosis and particularly from psora. Each of these must have pervaded the whole organism and penetrated all its parts before the primary representative local symptom makes its appearance for the prevention of the internal disease. The suppression of the local symptom may be followed by innumerable chronic diseases, the true physician cures the great fundamental miasm together with its primary as well as it secondary symptoms disappear together. Before beginning the treatment of a chronic disease we must find out whether the patient ever had been infected by syphilis or by sycotic gonorrhoea, although it is rare to meet with uncomplicated cases of these affections, as we usually find them often complicated with psora, the most frequent and fundamental cause of chronic diseases. It will be necessary to inquire into all former treatment and what mineral waters have been employed and with what result in order to understand the deviations which the treatment had produced in the original disease, to correct this artificial deterioration and to determine the course now to be pursued. A full anamnesis of the case ought now to be recorded, also the state of mind and temperament of the patient, as it may be useful to direct or modify this mental condition by psychical means. Guided by the most conspicuous, characteristic symptoms, the physician will be enabled to select the first anti-psoric, anti-syphilitic or anti-sycotic remedy for the beginning of the cure. The state of the patient’s mind and temperament is often of decisive importance in the selection of the remedy, as each medicinal substance affects also the mind in a different manner. Mental diseases must only be treated like all other affections and they are curable only by remedies similar to the disease. Most mental alienations are in reality bodily diseases, only those mental and emotional symptoms develop in some cases more or less rapidly, assume a state of most conspicuous one-sidedness, and are finally transferred like a local disease, into the invisibly fine organs of the mind, where they seem to obscure the bodily symptoms; in short, the disorder of the coarser bodily organs are transferred, as it were, to the almost spiritual organs of the mind, where the dissecting knife will reach in vain for their cause. In recording the totality of symptoms of such a case, we must obtain an accurate description of all physical symptoms which prevailed before the disease degenerated into a one-sided mental disorder. We compare, then, these early symptoms with their present indistinct remnants, which occasionally appear during lucid intervals and add the symptoms of the mental state as observed by the physician and attendant of the patient. Though a patient may be relieved of an acute mental disorder by non-antipsoric medicine, no time must be lost in perfecting the cure by continued anti-psoric treatment, so that the disease may not break out anew, which will be prevented by strict adherence to well regulated diet and habits. If neglected, psora will be usually developed during the second attack, and may assume a form, periodical or continuous and much more difficult to cure. Mental diseases, not the result of physical or bodily affections, of recent date, and which have not yet undermined the physical health too seriously, admit of the speedy cure by physical treatment, while careful regulations of habits will re-establish the health of the body but as a measure of precaution, a course of anti-psoric treatment is advisable, in order to prevent a recurrence of the attack of mental aberration. Proper hygiene and psychical regimen of the mind must be strictly enforced by the physician and attendants. The treatment of the insane persons should be conducted with a view of absolute avoidance of corporeal punishment or torture. Physician and attendants should always treat such patients as if they regarded them as rational beings. Intermittent diseases also claim our attention. Some return at certain period and there are others apparently non febrile affections, resembling intermittents bby their peculiar recurrences. There are also affections characterized by the appearance of certain morbid conditions, alternating at uncertain periods with morbid conditions of a different kind. Such alternating diseases are mostly chronic and a product of developed psora, in rare instances they are complicated with syphilitic miasm. The first needs purely anti-psoric treatment, the latter an alternation of anti-psoric with anti-syphilitics. Typical intermittents recur after a certain period of apparent health, and vanish after an equally definite period. Apparently non-febrile morbid conditions, recurring at certain periods, are not of sporadic or epidemic nature, they belong to a class of chronic, mostly genuine psoric diseases. Sometimes an intercurrent dose of highly potentised Peruvian bark extinguishes the intermittent type of the diseases. In sporadic or epidemic intermittents, not prevalent endemically in marshy districts, each attack is mostly composed of two distinct stages: chill and heat or heat and then chill; still more frequently they consist of three stages: chill, heat and finally sweat. The remedy, usually a non-antipsoric, must have the power to produce in healthy persons the several successive stages similar to the natural disease, and should correspond, as closely as possible, with the most prominent and peculiar stage of the disease; and the symptoms which mark the condition of the patient during the apyrexia, should chiefly be taken for guides in selecting the most striking homoeopathic remedy. The best time to administer the termination of the paroxysm, then the medicine has time to develop its curative effect without violent action or disturbance, and the vital force is then ijn the most favourable condition to be gently modified by the medicine and restored to healthy action. If the apyrexia is very brief, or if it is disturbed by the after effect of the preceding paroxysm, the dose of the medicine should be administered when the sweating stage diminishes or when the subsequent stages of the paroxysm decline. One dose may suffice to restore health, but when a new attack threatens, the same remedy should be repeated, provided the complex of symptoms remains the same; but the intermittent is apt to recur, when the noxious influences, which first originated the disease, continue to act upon the convalescent patient, as would be the case in marshy localities, and to eradicate the tendency to relapses, the patient ought to be removed to a mountainous region. When this suitable remedy fails to break up the paroxysms, unless continued exposure to marsh miasm is at fault, we may blame the latent psora for it, and anti-psoric remedies are needed for a cure. Epidemics of intermittents in non-malarial districts partake of the nature of chronic diseases; each epidemic possesses a peculiar uniform character, common to all individuals attacked by the epidemic, and this uniform character points out the homoeopathic remedy for all cases in general. This remedy usually also relieves patients, who, previous to this epidemic, had enjoyed good health, and who were free from developed psora. In such epidemic intermittents our anti-psorics fail, but a few doses of Sulphur or Hepar-sulph, repeated at long intervals, will aid us in their cure. Malignant intermittents, attacking single persons not residing in marshy districts, need in the beginning a non-antipsoric remedy, which should be continued for several days, for the purpose of reducing the disease as far as possible. Where this fails, psora is sure in the act of development, and anti-psorics alone will give relief. Intermittent fevers, indigenous to marshy countries, or places subject to inundations, will hardly ever affect young and healthy people, if their habits are temperate, and if they are not weakened by want, fatigue or excesses. Endemics aree apt to attack new comers, but a few doses of high potencies of China will easily rid them of the fever, provided their mode of life is very simple and if there is no latent psora in them, where such is the case, necessitates anti-psoric treatment. Mode of Application of Curative Remedies – perceptible or continued improvement in acute or chronic diseases invariably counter-indicates the repetition of any medicine whatever, for every new dose would disturb the process of recovery. A very minute dose of the simillimum, if uninterrupted in its action, will gradually accomplish all the curative effects. It is capable of producing, in a period varying from forty to one hundred days. Yet physician and patient desire to reduce this period. We must be careful to select the most appropriate remedy, and then only we might repeat this potency in fourteen, twelve, ten, eight or seven days. In chronic diseases assuming an acute form, and demanding greater haste, these spaces of time may be abbreviated still more, but in acute diseases the remedies may be repeated at much shorter intervals, for instance, twenty-four, twelve, eight or four hours; and in the most acute cases at intervals varying from one to five minutes. The dose of the same remedy is to be repeated, until recovery ensues or until the remedy ceases to produce improvement; and with the change of symptoms a fresh examination may indicate another remedy. Every medicine which produces new and troublesome symptoms not peculiar to the disease to be cured, is not homoeopathic to the case. An antidote must be given, selected with great care in regard to the similitude of the case, or if the accessory symptoms are not too violent, the next remedy should be given at once, in order to replace the inappropriate one. If in urgent cases we see after a few hours that the selection of the remedy was faulty and the patient fails to improve or new symptoms are discovered, we must select with great care another remedy which is more accurately adapted to the new state of the case. There are some remedies, as Ign. Bry. Rhus-rad, in some respects Bella, which show alternating effects on the state of the health, composed of partly opposite primary effects. If after the exhibition of one of these remedies, on improvement follows, we must in a few hours, in acute cases, give a new potency of the same remedy. If in a chronic psoric case, the anti-psoric fails to relieve, there must be some irregularity of regimen or some vigorous influence upon the patient, which must be removed before a permanent cure can be established. Incipient improvement, however slight, is indicated by increased sensation of comfort, greater tranquility and ease of the mind and return of naturalness in the feelings of the patient. To find out improvement or aggravation, the physician must examine the patient closely upon every symptom contained in the record of the case. If these show that neither new nor unusual symptoms have appeared, and that none of the old ones have increased, and especially if the state of mind and disposition is found to be improved, the medicine must also have produced an essential and general improvement in the disease, or at all events, it may soon be expected. Where delay occurs beyond expectation, there must be some fault in the regimen of the patient or the protracted homoeopathic aggravation produced by the medicine must be attributed to the insufficient reduction of the dose. New and important symptoms, mentioned by the patient, indicate that the medicine was not well selected; though the patient may think he is improving, his condition may even be worse, which will soon make itself apparent. No physician should have favorites among drugs, nor should he disregard medicines on account of their failure. Too often the fault is physician’s or the supposition a wrong one; his only duty is to select the similimum to every case. On account of the minuteness of the homoeopathic dose, great care must be taken in the diet and regimen of the patient, and especially in chronic cases we have to search carefully for such impediments to a cure, because these diseases are often aggravated by obscure, noxious influences of that kind as well as by errors in regimen, which, being frequently overlooked, exercise a noxious influence. Daily walks, light, manual labor, proper nutritious food and drink, unadulterated with medicinal substances are to be recommended. In acute cases we have only to advise the family to obey the voice of nature by gratifying the patient’s ardent desires, without offering or urging him to accept hurtful things. In acute cases the temperature of the bedroom and the quantity of the covering should be regulated entirely according to the wishes of the patient, while every kind of mental exertion and emotional disturbance is to be avoided. Genuine and unadulterated medicines, retaining their full virtues are the first requisites of a physician, and in the treatment of diseases only one single medicinal substance should be used at one time; which will give relief in diseases whereof the totality of symptoms is accurately known. Too strong a dose, of even a well selected drug, will produce an unnecessary surplus effect upon the over excited vital force, and will be injurious, while the same similar drug-disease, if exerted within proper limits, would have gently effected a cure. Experience proves that the dose of a homoeopathically selected remedy cannot be reduced so far as to be inferior in strength to the natural disease, and to lose its power of extinguishing and curing at least a portion of the same, provided that this dose, immediately after having been taken, is capable of causing a slight intensification of symptoms of the similar natural disease, though this homoeopathic aggravation is very often almost imperceptible. The homoeopathic similimum will operate chiefly upon the diseased parts of the body, which have become extremely susceptible of a stimulus so similar to their own disease. The smaller dose will change the vital action of those parts into an artificial drug disease, and the organism be freed from the morbid process. In homoeopathic practice the diminution of the dose and its effect is conveniently accomplished by lessening the volume of the dose. In using a solution of this kind a much greater surface supplied with sensitive nerves, susceptible of medicinal influence, is brought in contact with the medicine, and we must take care that the medicine is equally and intimately imparted to every particle of solvent fluid. The effect of medicines in liquid forms penetrates and spreads through all parts of the organism, with such inconceivable rapidity, from the point of contact with the sensitive nerves supplying the tissues, that this effect may, with propriety, be defined spirit-like or dynamic. Remedies in their dynamic dose, may be given by the mouth or tongue, or by olfaction. The most sensitive parts of the surface are, at the same time, the most susceptible. Conclusion: This article tries to simplify the contents of Organon in order to make its understanding easier and interesting. An attempt has been made to keep, the golden thread connecting the aphorisms, intact.